The Coors Light Below the Chop is perfect for your group looking for a unique and exclusive experience. 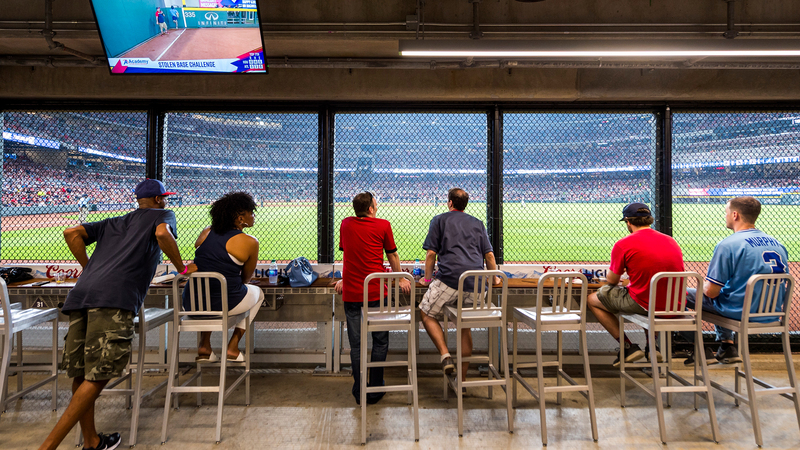 Located just inches from the playing field, along the warning track in right field, Coors Light Below the Chop offers a ground level view, and a player's perspective through the outfield fence, where you will be able to smell the fresh cut grass as you cheer on the Braves. 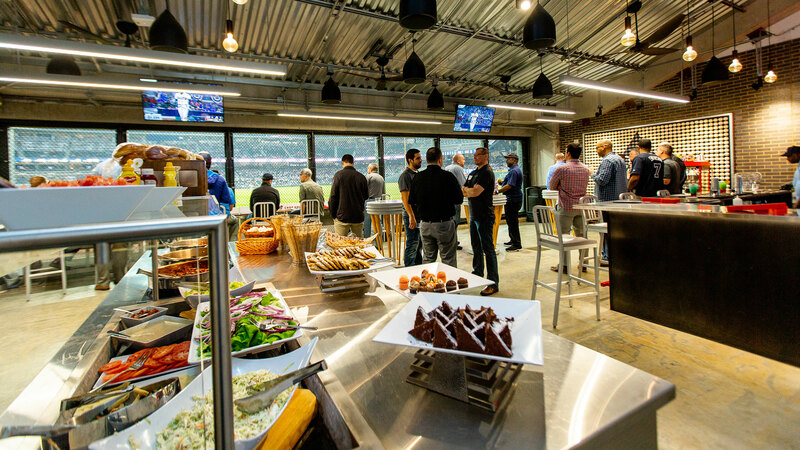 Select from 3 unique food and beverage packages, with service beginning 1 ½ hours prior to first pitch and concluding an hour after the start of the game. Each menu has an option for beer and wine to be included as well. Additional food and drink items can be purchased through Delaware North Sport Services (DNC) at atlcatering@delawarenorth.com or 404-494-1204. Take the elevator/stairs from inside the Coors Light Chop House to the Field Level. The Coors Light Chop House is located in right field near Sections 156-160.